The first exhibition in 2012 for Twin Filter to participated in was the Aqua Netherlands, held in Gorinchem. 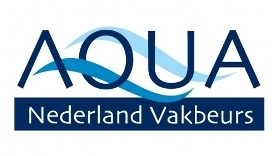 The Aqua Netherlands is a three day long meeting point for entrepreneurs and relations within the water industry. The show focuses on water treatment, water management and water technology. At this exhibition we presented our latest technology: TwinZapp. Please contact us for more information!